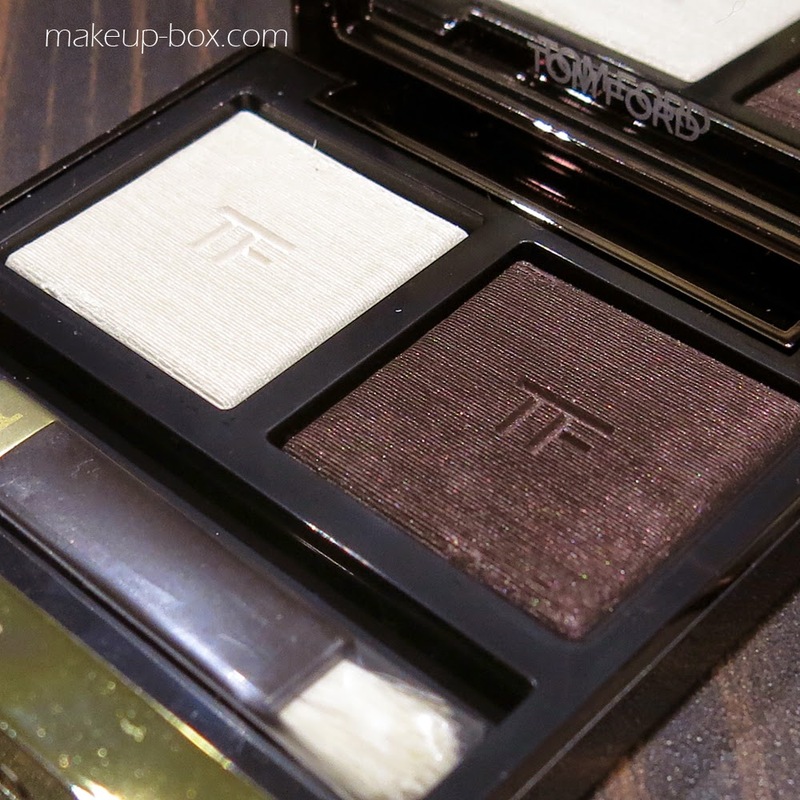 Tom Ford's Spring 2015 eye makeup colors are iridescent, rich, mysterious and smoky. 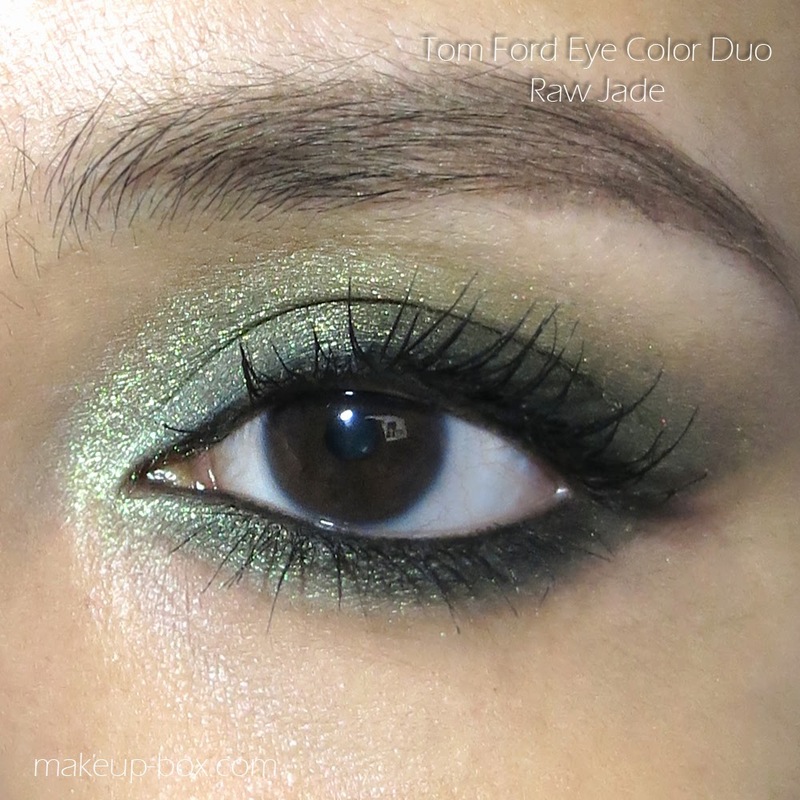 Similar to what we saw on the Tom Ford runways, these eye color duos will give you intense smoky rock'n'roll eyes. But despite how pared down and possibly dull they look in the pan, they are actually very pretty on the lids. 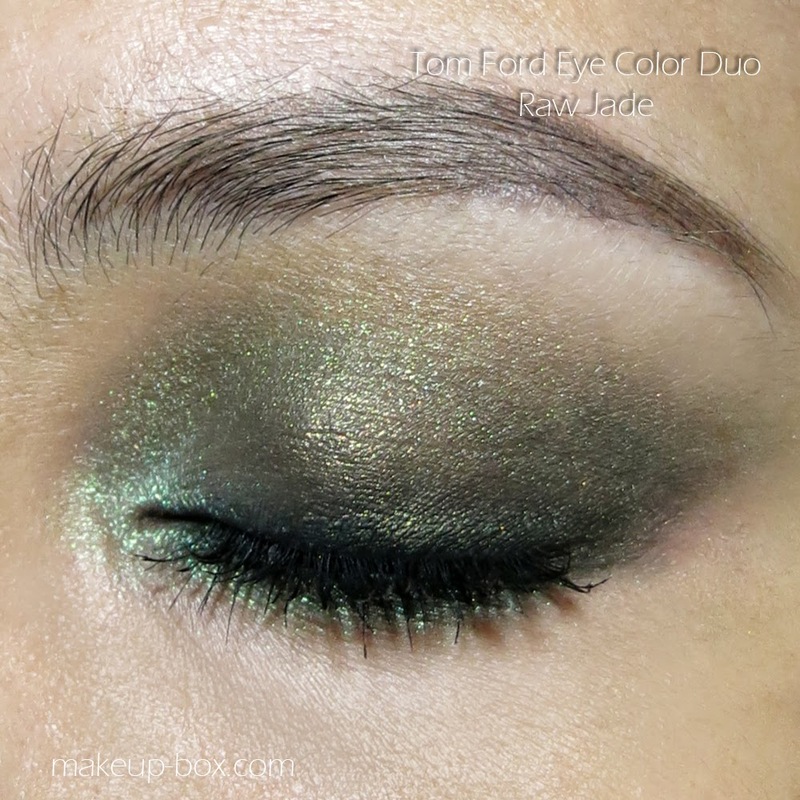 This is because each of the 3 duos, Raw Jade, Ripe Plum, and Crushed Indigo, have a white "interference" shadow paired with a deep jewel-tone. 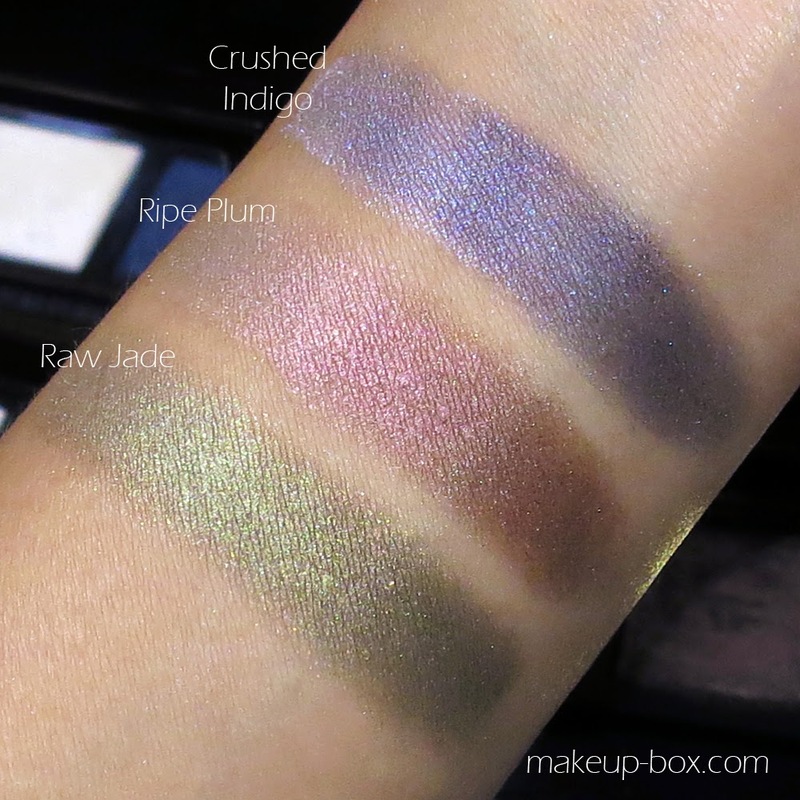 This interference shade shifts to a duochrome pearl color when applied. In Crushed Indigo, it is an icy blue, in Ripe Plum, a sugary pink, and in Raw Jade, a mint green. Out of the 3, I had the opportunity to pick out 2 duos to try out for myself, so I went with Raw Jade and Ripe Plum, just because they looked more unique to me. All I did for these eye looks is apply the dark shade to most of the lid, smoking up to the socket line, and running along the lower lash line as well. Then I packed the pale iridescent "white" shade into the inner 1/3 of lids and along the lower lash line. To finish the look, I went with what the models wore on the runway. Black khol along the inner rims of their eyes, and lots of black mascara. As you can see, the shadows look quite different on the lids from what you might think in the pan. 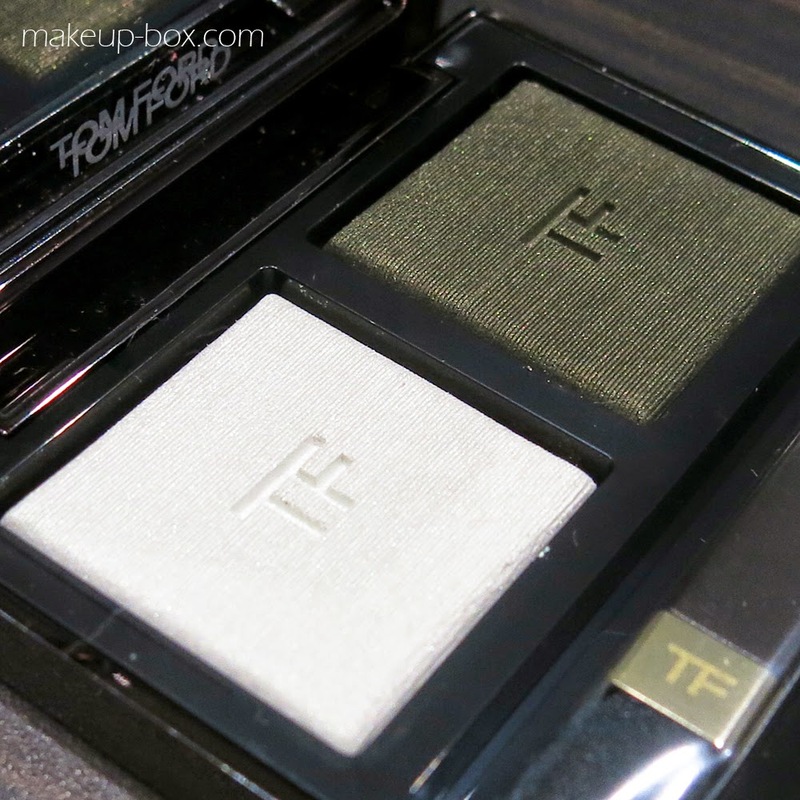 They are very rich and dimensional, and easy to blend, as with all Tom Ford shadows. 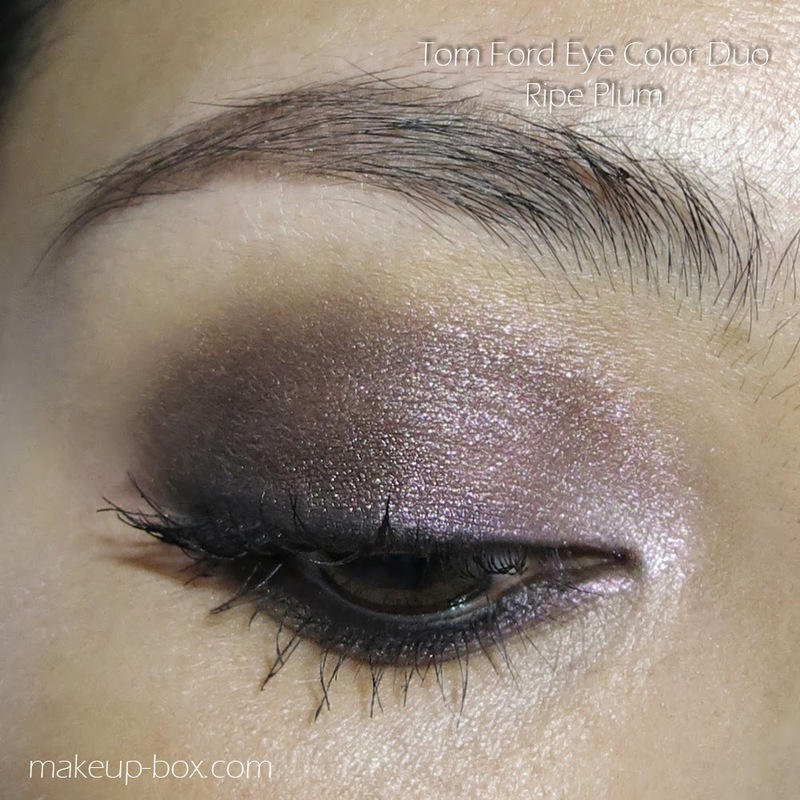 Ripe Plum is the closest to a smoky neutral out of the 3 because the deep burgundy is very brown. But once the shimmery pink iridescent shade goes on, the whole thing transforms to a gossamer pink/plum. I do love all 3, but I daresay I'll get the most wear out of Ripe Plum. 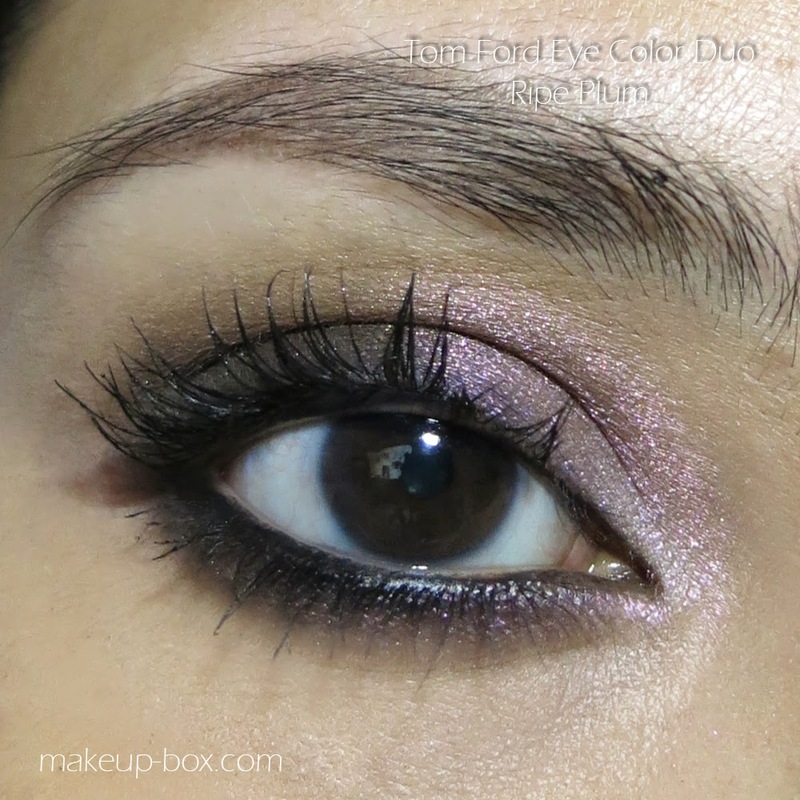 I do love a rich wine-brown eye as an alternative to the standard neutrals. To recreate the look, just follow the simple steps below! 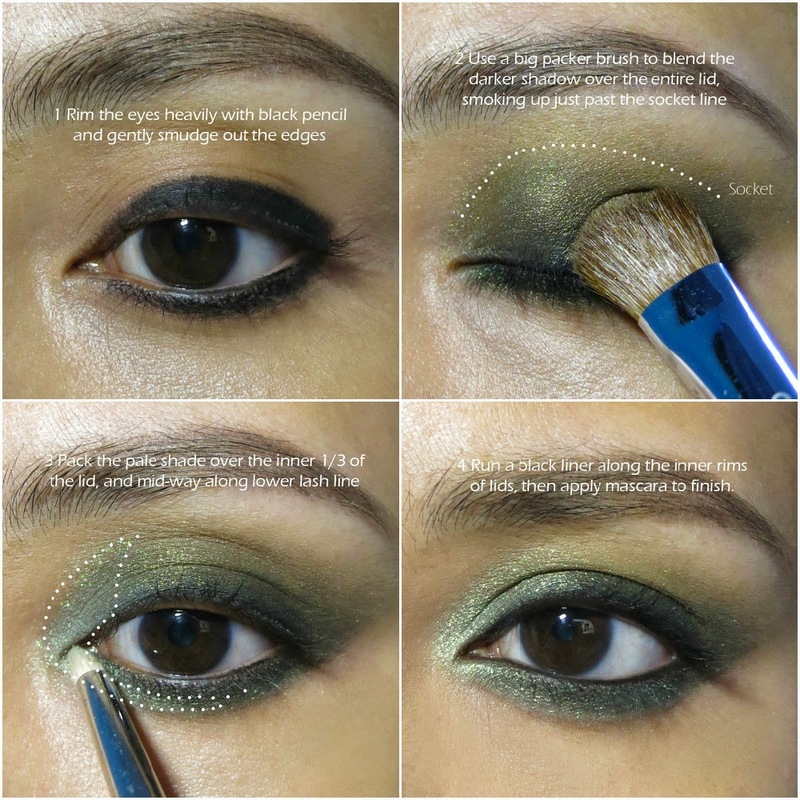 Step by step guide to achieving this look with any of the 3 palettes!